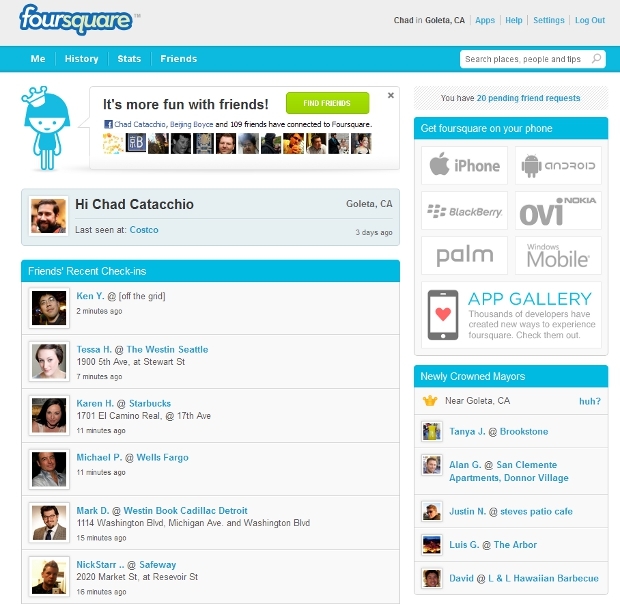 Foursquare has updated its website for logged in users with a stronger emphasis on finding, adding and keeping up with friends. 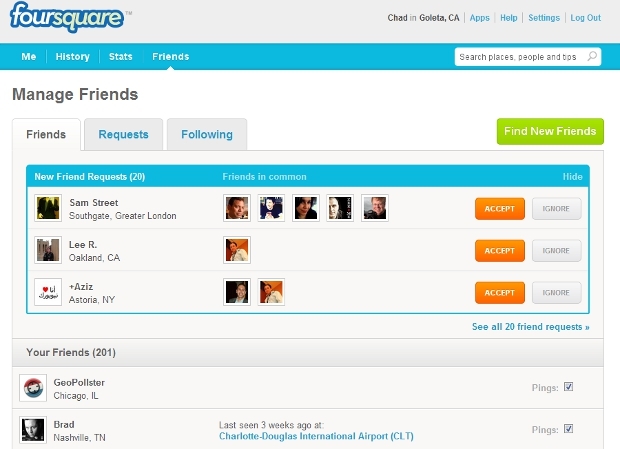 Of course, making it easier for current users to invite more people into the service is a top priority for any startup, and we’re sure it’s taken on even more importance at Foursquare as Facebook Places continues to gather steam. The new design also puts an emphasis on showing all of the different mobile platforms that you can use Foursquare on, and also gives a nice little snapshot of what you’ve recently done. Also, the “Newly Crowned Mayors” widget is kind of nice, as is the “Manage Friends” page on the Friends tab. Honestly, we haven’t logged into the website in a while (and possibly even a couple of these changes were before today, Foursquare was a little vague on all the changes it made today), but we’re really liking the direction that Foursquare is taking its website – people will only show up there if it offers utility, something that was kind of lacking in the past, but that started to pick up when Stats were overhauled. Read next: Roses are red, violets are blue. Friend requests are great, BUT Who the hell are you?